In the future for Roosevelt Island...? Yesterday in a blockbuster for personal transportation, Mayor Bill di Blasio announced, "As part of the agreement that approves its acquisition of Motivate, Citi Bike’s parent company, Lyft will invest $100 million to improve and strengthen the system – which includes doubling Citi Bike’s service area and tripling the number of bikes in the next five years." How will this affect Roosevelt Island? The Mayor's office also said, "The geographic boundaries of the expansion will be established in the coming months. Expansion will be accompanied by extensive community and elected official outreach to the selected areas." 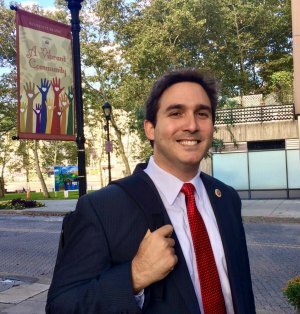 Roosevelt Island has not been definitively added to the list of neighborhoods where bikes will become available in the expansion, but one official, City Council Member Ben Kallos is all over it. Ben Kallos, a founding member of Citi Bike, last month. Kallos, a founding member of Citi Bike, told The Daily, "We are proud to have secured permission for Citi Bike to expand on Roosevelt Island and are working closely with both Motivate and RIOC to deliver on this, one of my longest standing campaign promises." Kallos already laid the groundwork, teaming with the Roosevelt Island Residents Association and Manhattan Community Board 8 to pass a resolution calling on DOT to bring Citi Bike to Roosevelt Island. "At 2 miles long with one major roadway for 14,000 residents," he added. "Roosevelt Island is kind of perfect for bike share." Another likely ally is Manhattan Borough President Gale Brewer. Curiously unenthusiastic however was RIOC President and CEO Susan Rosenthal. RIOC recently announced a lavish $14 million investment in building the world's most expensive bike ramp for access to the Roosevelt Island Bridge. But her interest in the Citi Bike expansion was tepid. 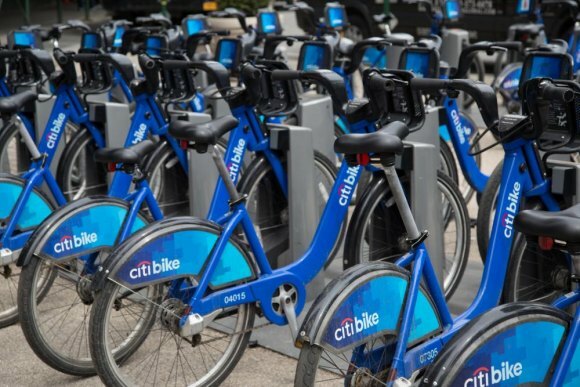 "We’ve had preliminary discussions with Motivate, the company that owns and operates Citi Bike," she answered an email request for comment, adding, "We have no further information at this time." Earlier, she told The Daily that "RIOC has had absolutely no talks with DOT about Citi Bike." It's possible that animosity between Governor Andrew Cuomo, who oversees RIOC, and the Mayor has made a difficult ride of what should be a simple process bringing Roosevelt Island a benefit residents have craved for years. An interesting quirk, according to The Gothamist, "The 'vast majority' of the new bikes—roughly 30,000 of them—will be pedal-assist e-bikes," according to an unnamed Lyft employee. Roosevelt Islanders have voiced concerns about abuses by bicyclists using sidewalks with impunity on as well as over illegal e-bikes zooming around with deliveries. RIOC's standard lack of transparency makes it impossible to guess how the State agency will deal with a possible large increase in two-wheeled vehicles. Residents have complained about Public Safety's apparent indifference toward enforcing rules already on the books, and the future may lead to more discontent with nonresident managed operations.